At the heart of this 1930 novel is the Bundren family's bizarre journey to Jefferson to bury Addie, their wife and mother. Faulkner lets each family member -- including Addie -- and others along the way tell their private responses to Addie's life. At the heart of this 1930 novel is the Bundren family's bizarre journey to Jefferson to bury Addie, their wife and mother. Faulkner lets each family member--including Addie--and others along the way tell their private responses to Addie's life. 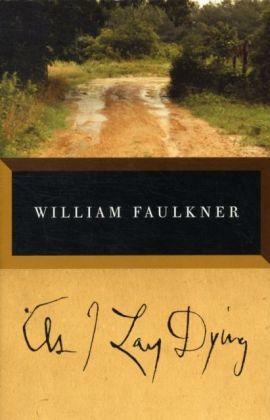 William Cuthbert Faulkner was born in 1897 and raised in Oxford, Mississippi, where he spent most of his life. One of the towering figures of American literature, he is the author of The Sound and the Fury, Absalom, Absalom!, and As I Lay Dying, among many other remarkablebooks. Faulkner was awarded the Nobel Prize in 1950 and France's Legion of Honor in 1951. He died in 1962.